Ross Ulbricht, alleged Silk Road HBIC, is claiming that new federal bitcoin laws classifying bitcoin as assets and not money invalidate the money laundering charges he faces. In short, he argues that you can’t launder money if you’re not using it.Earlier this year, Robert Faiella, 52, and Charlie Shrem, 24, were arrested on federal money laundering charges for their bitcoin activity on Silk Road. It would stand to reason that if Ulbricht did not break anti-money laundering laws, they didn’t either. 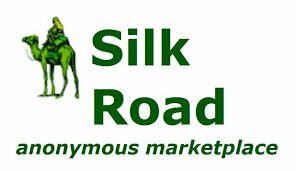 The two allegedly sold more than $1 million in bitcoin to Silk Road users. Selling assets isn’t money laundering.The defense also brings up the wisdom of keeping money laundering laws on the books in the first place. If money laundering laws are worth their compliance costs and the erosion of privacy they create, surely they are worth enforcing fairly and should apply to Bitcoin as well, since it’s clearly a medium of exchange which can be used for criminal enterprises.However, the evidence is extremely clear that the laws aren’t worth it. Anti-money laundering efforts in Europe and North America cost billions according to the Economist, and the magazine deems the laws a costly failure at trying to keep people from financing terror. Efforts to stamp out money laundering also erode privacy. “Know your customer” laws force banks to be cops, essentially conscripting private businesses “into agents of the surveillance state,” according to the American Civil Liberties Union.Bitcoin, on the other hand, makes all transactions public, which is a level of transparency not seen in other currencies.Ulbricht was arrested last October in San Francisco and accused of running the online marketplace under the name "Dread Pirate Roberts." His lawyers are arguing as well that the hacking, narcotics trafficking, and criminal conspiracy charges against him in connection with the site are "unconstitutionally broad" and can't be applied to the normal operation of a website.Ultimately, providing a violence-free marketplace for drugs and selling bitcoins are victimless crimes, completely and totally unworthy of prison time or punishment. While classifying bitcoins as assets as opposed to currency makes no logical sense, hopefully it will help free these people from prison and help erode the remaining misplaced support for deleterious legislation against money laundering.